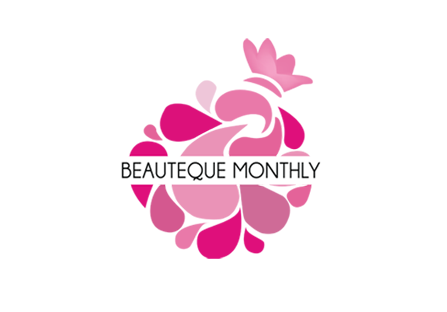 Memebox is the #1 beauty box dedicated to bringing you the best of K-beauty. 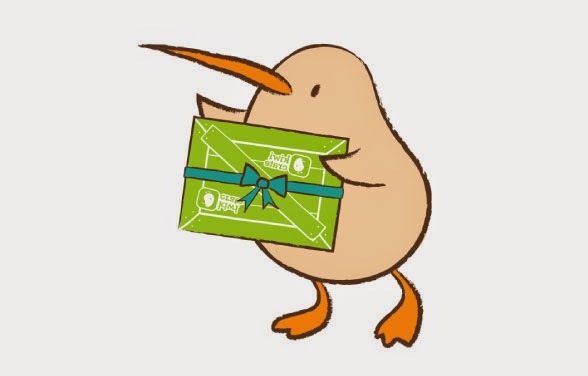 Many of their products are sourced, packaged, and shipped directly from Korea straight to your doorstep. The Memebox company has an office in San Francisco, where they ship products to USA customers directly from their warehouse. From what I understand, the SF office ships products that they sell online and not the boxes itself. The boxes are shipped directly from Korea. Each special themed box comes with 4 - 8 full-sized products and deluxe samples. Sometimes they would release collaboration boxes in which they team up with beauty icons to curate special Superboxes featuring each collaborator's favorite items! OMG isn't this the cutest thing ever !!!! Oh i'm so excited to try all of these products !!! As we all know Korean Beauty products are known to be very effective and don't they have the cutest packaging !!! SOOOOOOOO CUUUUUTTTTEEEE !!!! The box came with a card enumerating all the products you got. Telling you the retail price and how to use the product.....i tell you don't you ever ever ever ever throw the card away because the words on the product itself are all in Korean Language so if you don't speak and understand Korean don't don't don't throw that card away you need it !!!! Product Description: Scented with a delicate strawberry fragrance, Hope Girl's Tinted Lip Balm is both a lip tint and a lip balm. While the co-enzyme Q-10 and shea butter formula deeply nourishes your chapped lips, the lovely pink tint will stain your lips with a long-lasting, colorful radiance! How to Use: Apply the tinted lip balm with your finger and blend it into your lips. Product Description: The Fairy's Make-up Synergy Sun Cream not only provides a strong protection against UV-A and UV-B but it also creates an amazing synergy effect with base make-up and works to balance out uneven skin tone and texture. Plus, its light formula absorbs quickly and adheres to skin without feeling heavy or sticky. How to Use: Apply the sun cream evenly over your face before base makeup application. Product Description: The Family Fruits Foam Cleansing Cream is enriched with various fruits extracts - plum, grapefruit, peach, apple, tangerine, and blueberry - and is extremely gentle and moisturizing while its abundant, fine bubbles work to remove all skin impurities clogging up your pores. How to Use: Lather the Cleansing Cream with your hands and gently massage into your face. Rinse off with warm water. Product Description: The grains of sugar and walnut shells work as natural scrubs, gently rubbing away any dead skin cells on your lip. This buttery Kissing Sugar Lip Scrub is also enriched with honey extracts, avocado oil, argan spinosa kernel oil, and various vegetable oil complex which deliver an intensive moisture and nutrition care for softer, supplier lips. How to Use: Take a small amount of the lip scrub on your finger and gently rub it over your lip and rinse off with warm water. 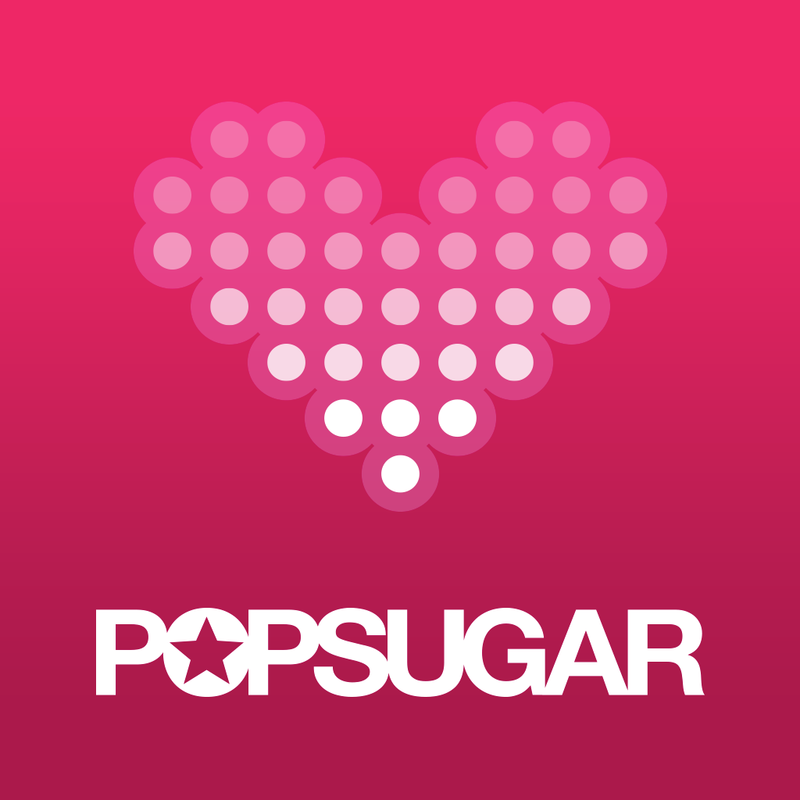 Review: I have been looking for a lip scrub and this product came in at the right time. It has a buttery smell. When using it you should use a lukewarm water to wash off the scrub. If your going to use cold water it would get greasy since the products main ingredients are oil so never forget to use lukewarm water instead. I like the packaging so much more than the product itself hehe. I'll be neutral with this product since i really didn't like the greasy effect it had when washing it off with cold water. Product Description: Youngwoosa chose to only concentrate on the ability of its moisturizing cream to instantly fill in deep hydration and to prevent moisture loss by creating a protective barrier over your skin. Experience the wonders of the 2X moisturizing system of Oh!It's Lovely and Soft Cream and how it'll make your skin softer, silkier, smoother, and healthier overall. Product Description: This hydro-gel type cheek patch is specifically designed to deliver an intense moisture relief and a soothing effect to dry, rosy cheeks. Enriched with rose flower, cherry blossom, apricot, aloe vera, cucumber, and green tea extracts, it's extremely gentle to skin and scented with a sweet fruity fragrance. Review: I think the purpose of this product is to hydrate your dry rosy cheeks. I particularly do not have dry rosy cheek so i'm passing this product to my daughter. I had her try it and she said that the product smells so good. The patch gave her a refreshed face and she says she feels so light and her cheeks feels so smooth. So since my daughter gave a good review on this so i'm giving this a 👍 as well. Conclusion: I am so in love with this box. 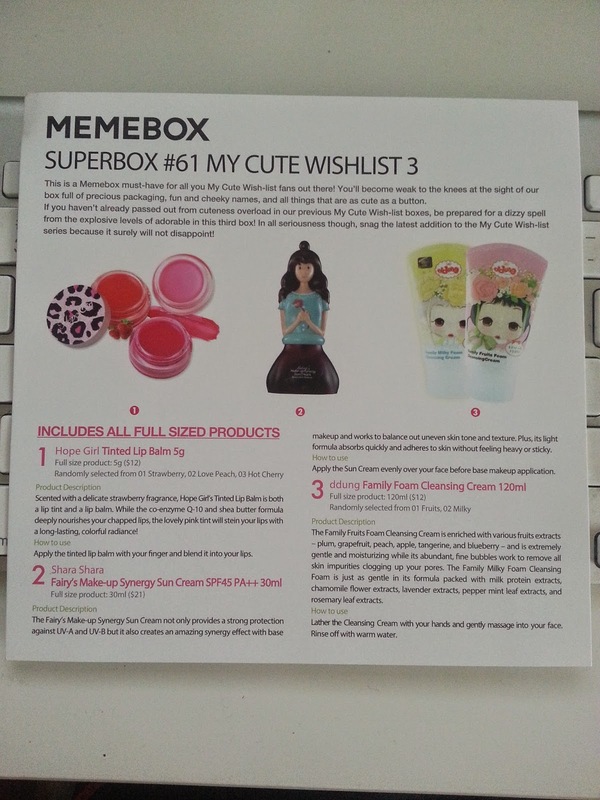 This is the Superbox My Cutie Wishlist 3. I bought this box for $29.99 plus $6 for the shipping. The value of these box is $101. I got 6 full sized products which is not bad at all. I like all the products and for sure i'm gonna use it everyday. Korean Beauty products has been gaining much attention due to its effectiveness and nice packaging. I'm giving this a 95% rating. For those who would like to try MemeBox you can go to http://us.memebox.com and check the website for other curated boxes that you might be interested in. 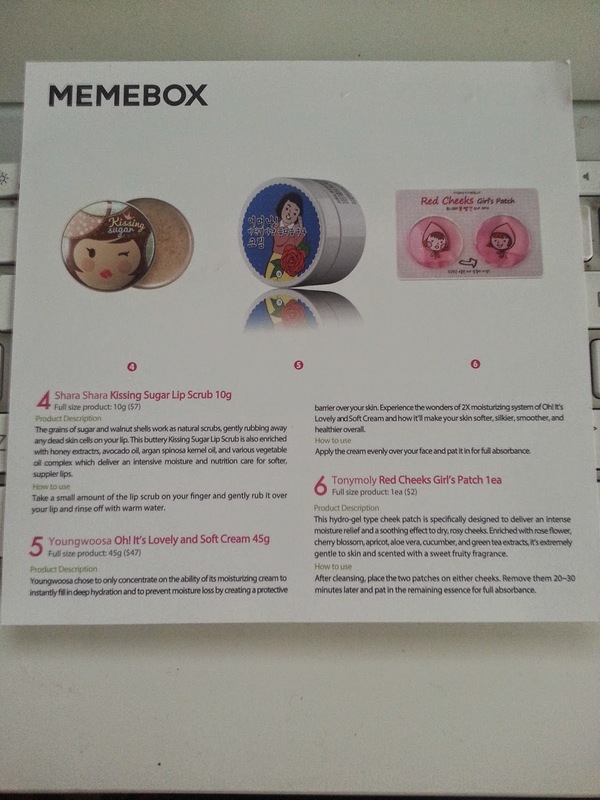 FYI Memebox is not a monthly subscription box. Disclaimer: I am not affiliated with Memebox. I bought the box with my own money and gives a 100% honest review.